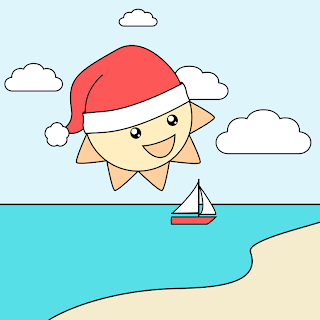 When I posted this sunny Santa the other day, I said I'd be doing a coloring page soon. Actually, I'm doing 2. The one I'll post tomorrow will be a lot like the one above. 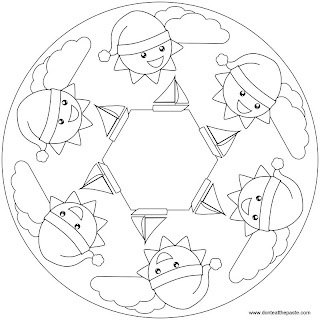 The page today is a simplified version as a mandala. I hope you like it. 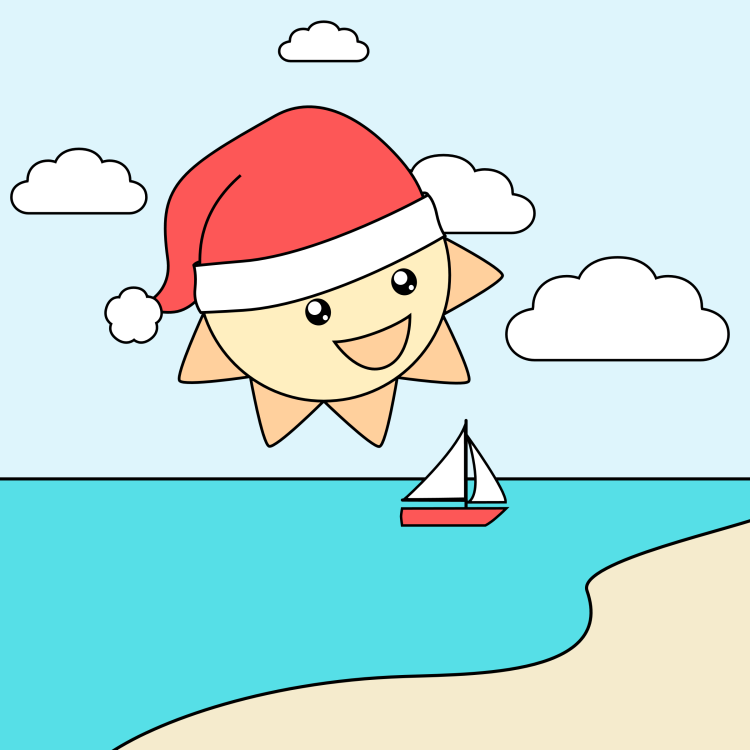 I'm pretty envious right now of people who are in warm places for Christmas. It's snowy and gorgeous here, but bitter cold. Click on the images below for a larger version to print and color.